Get the power of a directional antenna with the convenience of an omnidirectional. The SC-100-L is a high gain omnidirectional antenna designed for building installations. 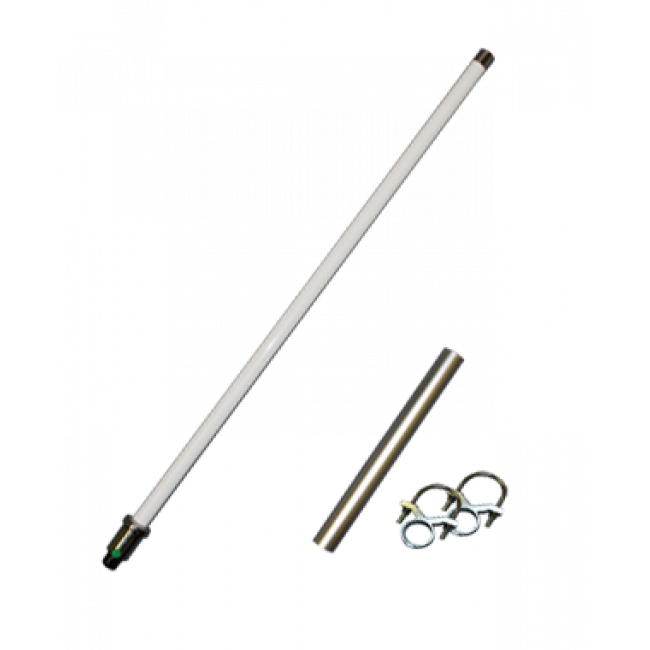 This antenna works with all 50 ohm dual-band amplifiers and features a 9 dB gain, which is 2.5 times as powerful as our standard building mount omnidirectional antenna. The SureCall High Gain Omnidirectional Outside Building Antenna (SC-100-L) by Cellphone-Mate is the most powerful omnidirectional antenna we offer and is ideal for situations where you need to support multiple carriers in a single system or where directional antennas are not ideal. The High Gain Omni features a 9 dB gain across both the 800 and 1900 MHz frequencies used by the standard dual band amplifiers. For best results, mount this antenna as high as possible. 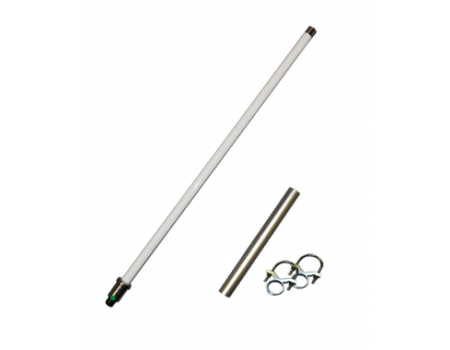 The antenna can be mounted to a wall or to a pole up to 1-3/4" in diameter using the included hardware. It also includes a 13-3/4" aluminum riser for added vertical height. The antenna has an N-Female connector make the SureCall 400 cable the best option for interconnections.